IT FEELS GOOD! We make it easy to volunteer as a group. We can accommodate volunteer groups of nearly any size - as few as 10 or as many as 1000 - and will manage the entire process from beginning to end. 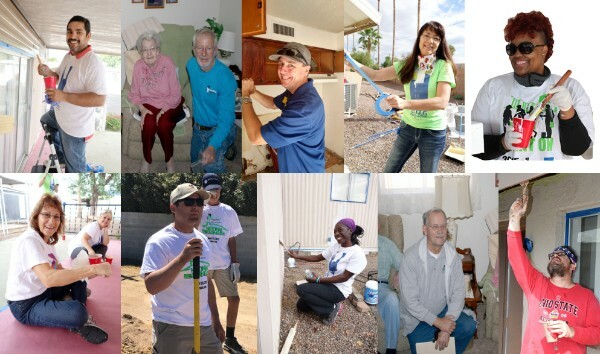 You help your neighbors and we help you do it. Register today! Our large group volunteer activities are typically associated with a financial donation* and volunteers from the sponsoring organization. We tailor your project to meet your needs and those of the communities we serve. Ready to sign up? You can register now! For more information, please contact us to discuss your goals as a group and what you would like to accomplish in your community. 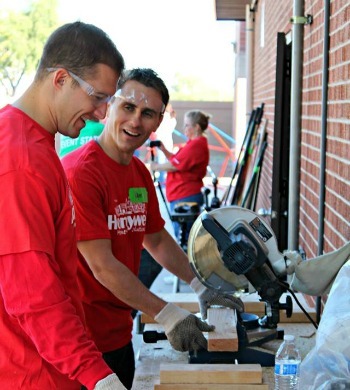 Some of our large group events include National Rebuilding Day, Make A Difference Day, Paint-it-Forward, and Project: Give Back. *Financial requirements vary by group size and project. Occasionally, we need unskilled volunteers to paint, etc. when sponsoring groups find they do not have enough people to work on their project. However, this is the exception rather than the rule. If you really want to work on a house, we urge you to put together your own sponsoring team. Not quite ready to register but want to learn more? 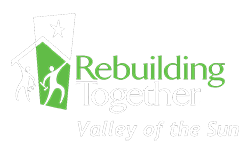 Email us at info@rtvos.org or call 480-774-0237.